he internet is full of raging debates about buying a guitar amp. About why you should buy a particular amplifier over another model. If you were to buy based on public opinion only, it would take you 6 months to wade through the opposing arguments. We’ve all been here in one way or another, it can be endlessly frustrating. Then there are those who say, “you have to try the amp for yourself”. Unfortunately the amps we’re interested in are not always lined up at our local music store for us to try out. Or if they are, their prices are over the top. If you’re the type of person who is comfortable using a local shop to trial gear before buying it online (ps this is called “showrooming”), then I’m not about to try and convince you otherwise. However, you should remember that the more we do that, the less we’ll have local stores to try stuff out at. If your local store actually does have all those amps lined up for you with reasonable pricing then what are doing reading this blog, get down there now! So what do we do if we’re in the market for an amp and it’s not available locally? 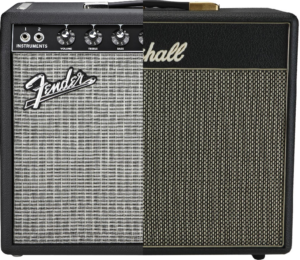 Or worse, if we can’t decide between 2 or more amps that aren’t available locally? So what do we do if we’re in the market for an amp and it’s not available locally? I was faced with this situation recently and to get around it, I used a process that I often use when I have to decide on a purchase where there are masses of specifications and models. By listing the features in this way, we now know that we’re looking for a more specific amp. It allows us to rule out a huge number of options. The more specific your feature list, the more you’ll be able to narrow your list. However, if you get too picky, you may find you have no options, so be reasonable. For example, don’t expect that a 10 watt practice amp is going to have 3 channels, emulated speaker output and an effects loop! Now before you roll your eyes, give this idea a chance. Consider the number of amps out there, and the fact that you are probably going to be searching for an amp over a few days/weeks/months. It makes perfect sense to write something down so your not constantly trying to remember whether the Fender Front man 212r is 80 or 100 watts, or if the Peavey Envoy has reverb. Start by listing your “Must Have” and “Nice to have” features across the top as headings, as well as some basic facts like “Brand”, “Model”, “Price” etc. Then in each row you can list each amp, and fill in the features. A simple “Y” or “N” for things like reverb is fine, whatever the feature is, just list it down. Now you have a list which you can add to gradually. This method won’t make your decision for you (well, there is a way it can, read the “advanced” section if you’re as nerdy as I am). You still have to make the final decision. Sometimes the features may look very similar. In that case, price may be a factor, or maybe the brand. But by listing the features and striking any amp off the list which doesn’t meet your “Must have” features, you’re bound to choice that you won’t regret. Sometimes, you need more help…sometimes listing the features doesn’t clear anything up. Maybe you want switchable channels in your amp, but some amps have 2 channels and some have 4. Or some maybe 5 or 6 amps meet you “Must have” needs and you need to look at their other features. How do you take this into account? 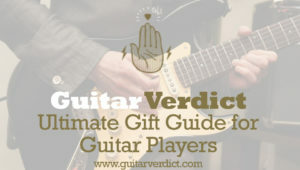 There is a way to “score” each amp in this list (and this applies to basically any similar decision). Against each column/feature, insert a new column. This is a rating for that feature. So you should have a column for the feature, followed by a column for the rating. Now go through each amp and give each feature a rating from 1-5, where 5 is the best, based on your needs You can rate up to 10 or more if it makes sense. Once all features are rated, add a “Total” column and add each of the “ratings” for each amp. So you should have amps going down the page, then a column with each feature, a column for each rating on each feature. Then the “total” column. Now each amp has a “total” rating. You can sort the list in ascending order so that the amp with the lowest score is at the top. Finally, insert another column and call it “Value”. This should divide the “Total” by the “Price”. This gives you a way of looking at the best value amps in your list based on the features that are important to you. Sometimes the result is a real surprise. The above step doesn’t take into account that some features are more important to you than others. For example, you might not care so much that your amp has an effects loop. Maybe reverb is MUCH more important to you. To take this into account, you should add yet another column, with a weighting for each feature. We won’t go into this, as if you’ve read this far…I’m pretty sure you know how to apply this approach. If not, leave a comment and I’ll expand. This post is targeted at those who can’t access amps for testing. For those that can, please do so, as it is the best way to purchase. I also understand that mathematically, this process is not perfect. I also understand that sometimes you just want a particular amp. That’s all fine. This process helps to educate yourself on what is out there and apply some objective analysis before spending your hard earned money. I hope it helps in some way. 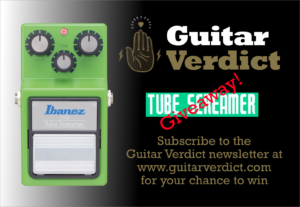 Check out our guitar reviews here.